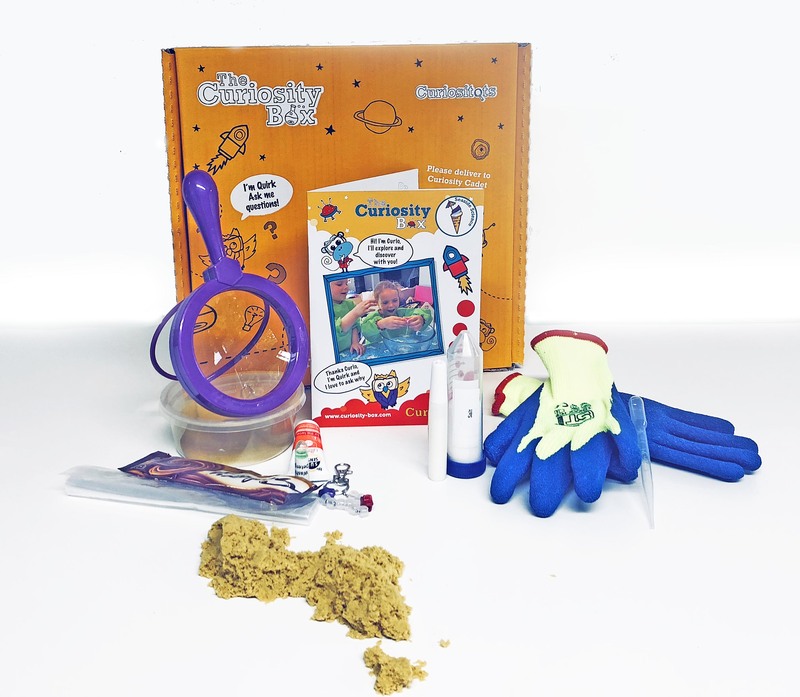 Curiositots box Sublime slime - create a squidgy snowball, make some 'noisy' elf snot and experiment with colour changing putty Spooky science - disappearing colours, glow in the dark skeletons, bones and a howling device. science just got a bit spooky! Seaside science - make the most awesome and strangely moving sand ever, explore the colour changing effects of uv light and make some yummy ice cream Healthy me - make a life-sized model of yourself and locate some of your vital organs, explore diabetes with our lab made wee and create a range of spectacular edible poo - a bristol stool chart is included! Oodles of sciency fun for 4-6 year olds with our themed Curiositots Boxes! Giving you hands-on experiences of science and engineering to build confidence and have serious fun. The box contains 3-4 activities, a colourful booklet with step by step guides on each of the activities and a collectable item to keep. Picture shown is our Seaside Science box. Please note the chunky magnifier is not included but it can be bought separately.